... particularly if you've been in possession of the iDinosaurPhone 4 for as long as the mind can remember. 1 // You can't find the power button because yours hasn't worked in months and have been relying on the Accessibility touch-screen thingymajig. If you need to turn your phone off, then you're screwed until the next time you can find a power source. Oh, and a screenshot? That's possible?! 4 // You can't bear to take the protective plastic screen off because it keeps the phone all shiny and new and un-scratched up, like that old piece of crap you've been using till now. The catch is that the plastic is catching all the weird gunk and crumbs and smudges and it's not looking so shiny and new anymore after all. 5 // What is this iOS 7 abracadabra? Or is it 8 now? After using the equivalent of iOS ... 2, you're gazing at these iOS 7 functions and apps like they're the filet mignon to the Hamburger Helper you've been used to (no hate, HH is amazing and I know it). Actually, you're amazed that your phone even let you download all the apps you want to. Storage was out with the last one, and even if storage let you ... everything stopped being compatible with iOS 0.34 in 1999. 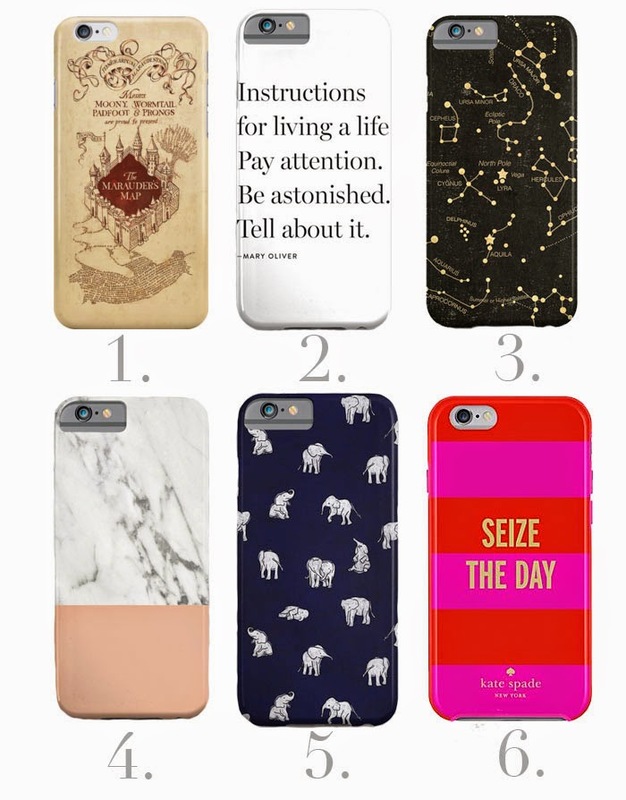 1 / 2 / 3 / 4 / 5 / 6 Can anyone guess which one I got for my phone? Hint: Mischief managed. 6 // The camera! Megapixel gigabyte retina. Yes. The old one was bringing us back to the cave drawing days, but this new baby can hyperlapse and slo-mo with the best of them. 7 // TOUCH ID. CAN'T EVEN. CAN'T ODD. I have been dreaming of fingerprint scanning for years now. 8 // It doesn't feel like you're taxiing around a brick at all times. 9 // The alarm clock section is void of winning titles like, "CHAI. READ FOR PSYCH 30. RUN." Psych 30, I took sophomore year of college. Run, I just don't. There's also "Watch Kristian in the Olympics!!!!" Seeing a friend win bronze in diving sure was exciting... In 2012, that is! 10 // You no longer need to squint / borrow your grandma's reading glasses to glance briefly at your texts or your notifications or a picture or at the giant crack splitting your phone in two. All hail a new era! Anyone else using the new iPhone and loving it like I am? Congratulations on all these exciting new things!! haha...love this! I got the 6 but it was just too big for me so I went back to my 5. I'm glad you are loving your new phone, enjoy! Congratulations! I was meant to get one yesterday (I, too, have been toting around a less-than-reliable 4) and the store was closed (apparently everything in my new town dies at 6pm. Its insane). I can't WAIT for a real battery!! Had yours been doing the crazy thing where at 16% it just randomly shuts off for a while (mainly when its most inconvenient)... and then turns itself back on just as you don't need it anymore? I completely lost is at "Can't even. Can't odd" you are hilarious! I felt the same way when I switched from a samsung galaxy S2 to the iPhone 5s. Apple today, Apple now, and Apple Forever!